Choosing a ring as a Surprise? Here’s how to ace it. Choosing the perfect ring for your intended isn’t the easiest task. If you have specific instructions on which size and precious metal to look for, this is helpful for any consultant you enlist to help you choose the perfect piece. A great consultant will know what questions to ask, but it’s essential to do a little groundwork prior to buying. The thing is, you can enquire about which shape, size and style of ring is preferred by the recipient, but when it comes to choosing the perfect piece, it can be harder to pin down a preferred style. 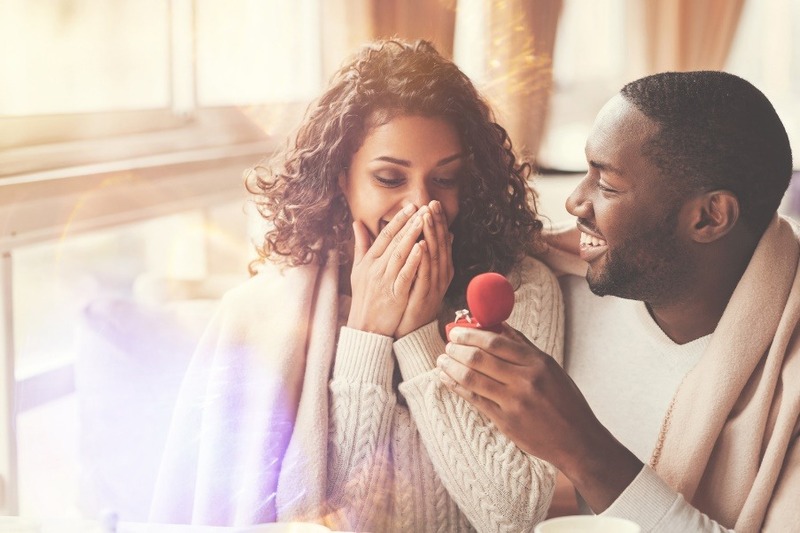 If you haven’t asked about what kind of ring is preferred and you’re hoping to retain the element of surprise, you may find that using your partner’s hand as a template is your next best bet. Get ready to do some particularly keen observation work. Obviously, you will need to have a good idea of your partner’s ring size- you can bring an existing piece of jewellery as a guide, or you may need to ensure the piece you choose is available for resizing if it doesn’t fit perfectly. Test yourself. Picture your partner’s hand in your mind, and think about the weight of their hand, the shape, skin texture tone, and any existing jewellery they wear often. Practise this as much as you can prior to making your decision. Doing this is helpful prior to ring selection because it prepares you for understanding that, even though we feel like we know our partners well, we don’t always remember as much as we’d expect. Inconspicuous hand holding is recommended if you’re hoping to keep your purchase undetected! Once you’ve determined which shape best suits your partners hand profile, you will need to consider other aspects, for example, skin tone and complexion, whether their hand is petite or heavier, existing jewellery styles and importantly, whether they’re confident wearing jewellery or not. Many individuals can feel very self-conscious wearing jewellery and prefer understated styles and shapes to the fancier or bolder styles available. Some stone colours can make a hand look washed out on an individual, so getting an idea of the colour spectrum that suits your partner will give you a better chance of getting it right. If you find this all al bit overwhelming, the simplest exercise is to think about a shirt they like to wear or feel confident in. Having a picture as a reference is incredibly useful. You can use this to describe what looks great on your partner to a consultant- and a great consultant will be easily able to identify pieces that may be well suited. You may think that the right choice is a pipedream, but you can definitely improve your chances by firming up your conveyable understanding of your partner’s individual style. A few moments spent taking into consideration whether the shape can mean all the difference! Australian Diamond Company offers skilled jewellery consulting to those wishing to find the perfect piece for their partners. For more information about the services we provide, please call our team and arrange your face to face appointment with an expert stylist today.